The Spyderco Rubicon 2 flipper knife was designed to be a more affordable version of the original Rubicon model while still offering premium materials on both the blade as well as the handle scales. This knife features a hollow ground blade with its signature design, an ergonomic handle design and a flush-finished orange G-10 back spacer for a unique pop of color. 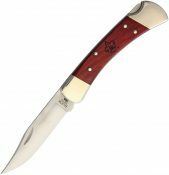 Flipper knives are all part of the folder knife category and are easy operated thanks to a pronounced tab that protrudes out of the forward part of the spine. 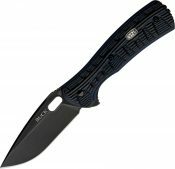 This particular flipper utilizes a high-strength linerlock locking mechanism which uses a leaf-like spring that splits from the liner that wedges itself laterally against the blade and the ball bearing washers translates to smooth fluid action. This model, the C187CFP2, features carbon fiber and G-10 laminate scales over skeletonized titanium liners, a premium CPM-S30V satin finished spear point style blade, Spyderco’s trademark round hole opening feature and an ambidextrous pocket clip which allows for tip up carry only but is eligible for left or right hand carry options.